Being overweight has many negative effects on health. One less talked about problem is that being overweight causes back pain. When the stress of being overweight causes the posture to shift, it can cause abnormal compression of the spinal structures. This can lead to problems such as pinched nerves, arthritis, and sciatica, to name a few. Another problem is that the stress and pain on the spine causes a more sedentary lifestyle, and the problem only gets worse. The pain causes reduced activity…more weight gain…more pain…more pressure on the spine. You get the picture. The opposite is also true. Weight loss causes less pressure on the spine, more activity can take place with reduced pain, and weight loss becomes a much easier goal to attain! So when we help our patients to lose weight we are helping to reduce their back pain as well. We have a specialized program for weight loss that we call the ChiroThinProgram. This program is special in that we treat weight loss as a physical and mental addiction to food. That being the case, we strive to find the triggers that cause a patient to overeat and gain weight. The patient is then taken through a process that will detoxify the body and help to curb cravings for unhealthy foods. This process causes an increase in energy and vitality that has to be experienced to believe! We take time to look at the hormonal health of the patient and if their are any imbalances that can increase fat storage in the body. Also, we look for any nutritional deficiencies that could be contributing to weight gain. PH Balance is another important aspect of the ChiroThin. When the body is more acidic our research shows that fat is stored more readily than when the body is more in the normal alkalinity range. Helping to get the body back in the proper range makes losing fat an easier proposition. Good health then becomes a matter of modifying the diet of the individual patient so that they are no longer craving the offending foods and weight loss can occur naturally. 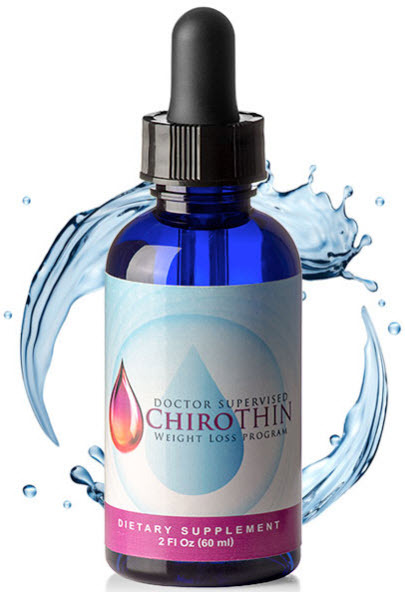 ChiroThin weight loss is a truly innovative approach to weight loss now in Columbus, Ohio. So many Americans struggle with their weight. 60% of the adults in our country are now obese. That is because losing weight is hard. Most people fail at trying to lose weight. That is because they fail to change their habits related to food. Most suffer from food addictions that need to be broken. Just as you would not treat an alcoholic by giving them less alcohol, you can&apos;t treat the overweight patient by asking them to eat less of the foods of which they are addicted. That is what separates the ChiroThin program from the rest; we take a doctor patient approach to give you the best support in resetting your habits to make losing weight easier than ever! Call 614-436-3870 to schedule a free weight loss consultation today!